When launched in 1955 the MG MGA was a brave departure from its predecessor, the pre-war designed MG TF. The new streamlined body was first hinted at in 1951 with the Syd Enever designed TD Le Mans car. 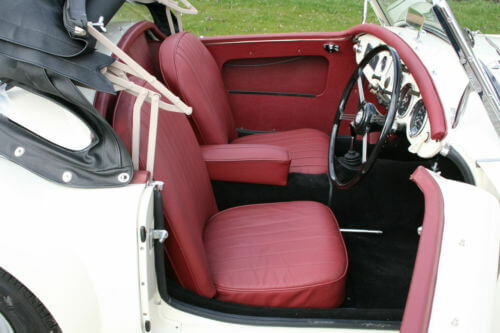 This car was based on the original TF chassis but due to problems with the drivers seating position, a brand new chassis was designed for the new MGA. Launched in 1955, the new MG MGA was offered in roadster and coupe body styles. 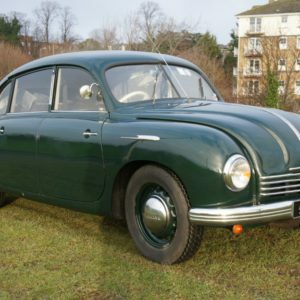 Power was provided by the MG Magnette single cam 1489cc engine which produced 68BHP. 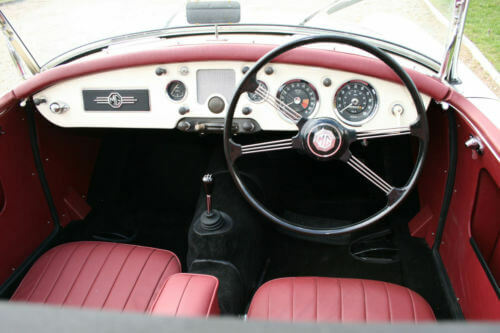 A four speed gearbox was standard with power being sent to the rear wheels. 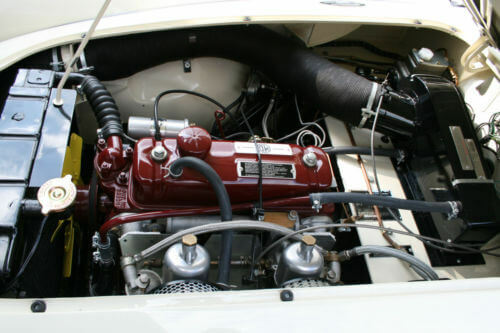 The MG MGA on offer is a 1958 MK1 which has the original single cam 1489cc engine. 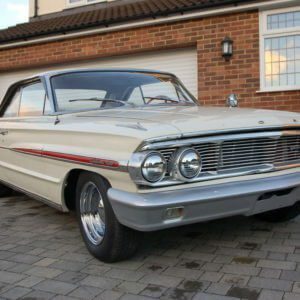 It is described as a matching numbers car and has been subject to a full concours level restoration. The seller describes it as being exceptional and comes with a file of receipts. It has 100 miles on the clock so we assume it has had a rebuild though this is not mentioned in the listing. No other details are provided, the seller letting the photos do the talking. 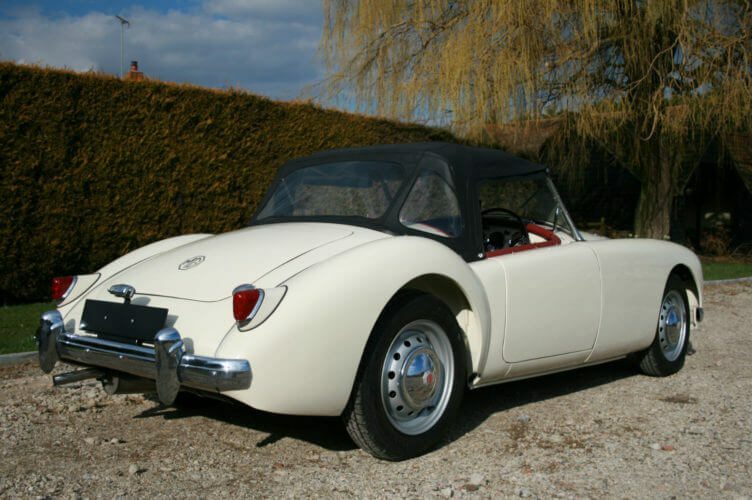 Red is a common MGA colour so it is nice to see this one in white. Wire wheels were an option but this one wears steel wheels and chrome caps which suit the car. The dashboard is a clean and simple affair. The new interior looks lovely. The engine bay is spotless. The boot is also spotless. 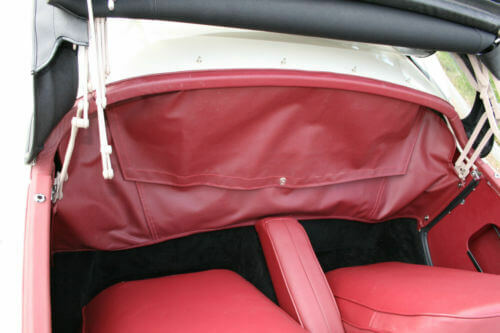 It isn't the largest hence many owners fitting luggage racks to the outside. 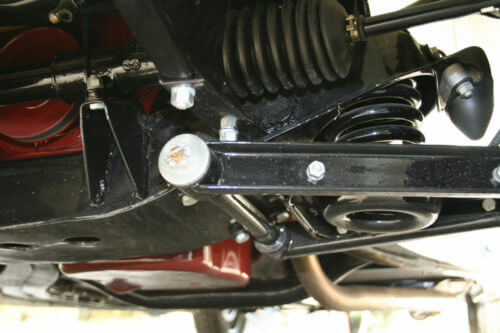 The suspension components all looks fresh and new. 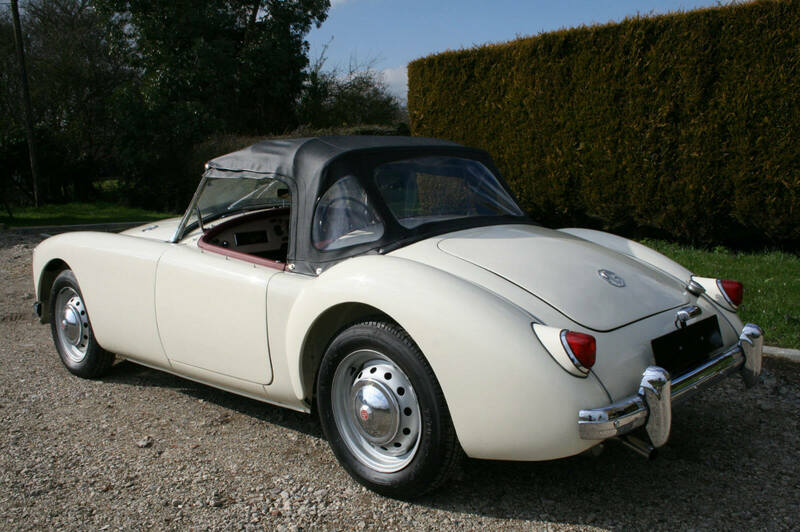 We’ve always admired the shape of the MGA. It has beautiful lines and a wonderfully graceful silhouette. Details like the chrome air vents on the wings are lovely touches and emphasise the uncluttered clean look. 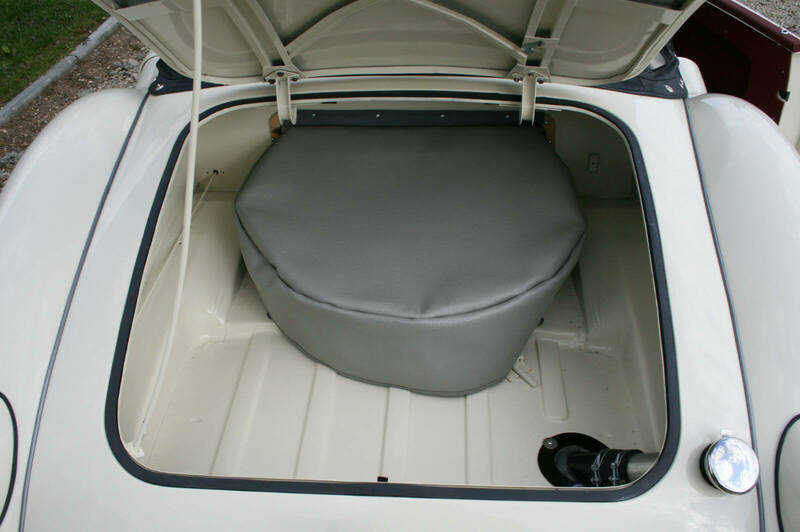 The photos show that no expense has been spared on the restoration of this MK1 and it looks beautiful with its cream white paint and contrasting red interior. Everything from the engine bay to the suspension looks spotless. 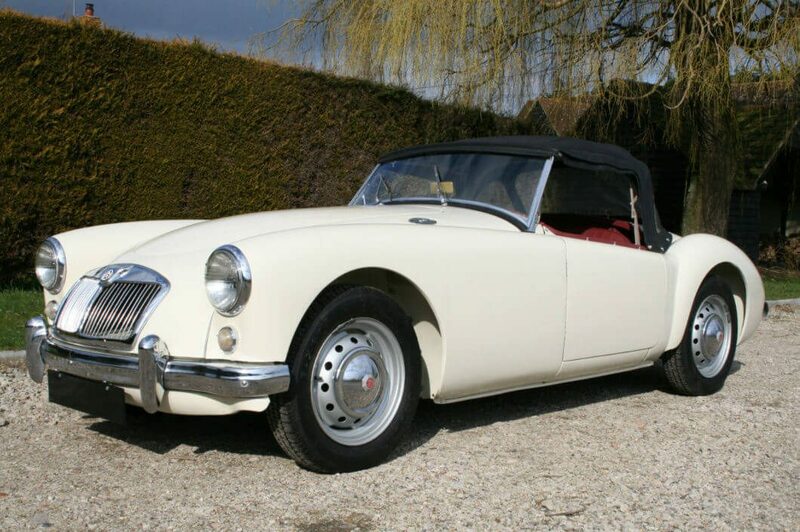 This MG MGA is offered for sale by St Andrews Autos in Chelmsford Essex. The asking price is £34,950.